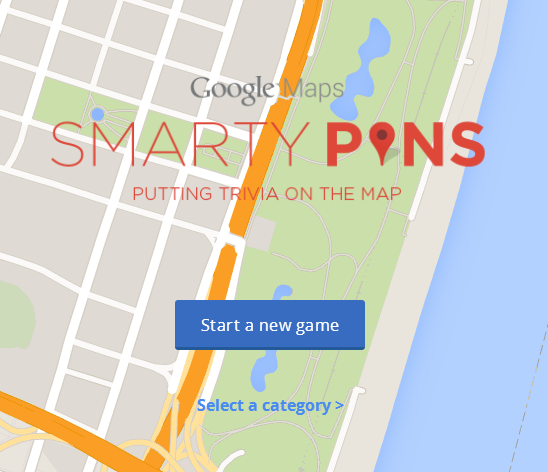 Google developed a trivia game called Smarty Pins (a play on "smarty pants"). 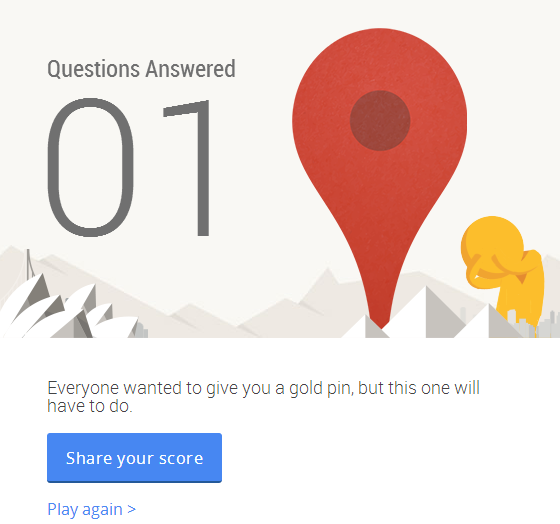 You need to answer a few questions by moving the pin to the right location. Here's an example: "In 'The Shawshank Redemption,' Andy and Red happily reunite on a beach in which city?" 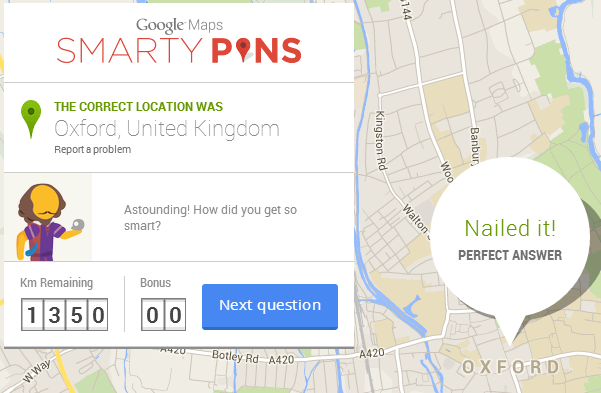 The map will move closer to the right answer and you have a few seconds to move the pin. You can answer as many questions as you can before you run out of kilometers. Kilometers are lost by placing the pin incorrectly. Bonus kilometres are gained for quick thinking. Google uses funny messages like: "Wrong but at least you're on the right continent. That's something, yeah? ", "You just scored a solid B. Smile and you might get a B+", "Well, it's not right but at least it's on the map. Or on a map, somewhere", "Bullseye! ", "You're a human GPS system (without the annoying voice)", "Uh oh! Looks like we have ourselves a ringer! You do this professionally, don't you? ", "Outstanding! You dazzle us with your geographical knowledge! ", "Extraordinary! You're in the top 5% of intelligence! (That's a good thing, Einstein. )".